Representatives of the European Union Advisory Mission Ukraine (EUAM) visited the Southern Directorate of Ukraine Border Guard Service in Odessa for the first time on 22 July. 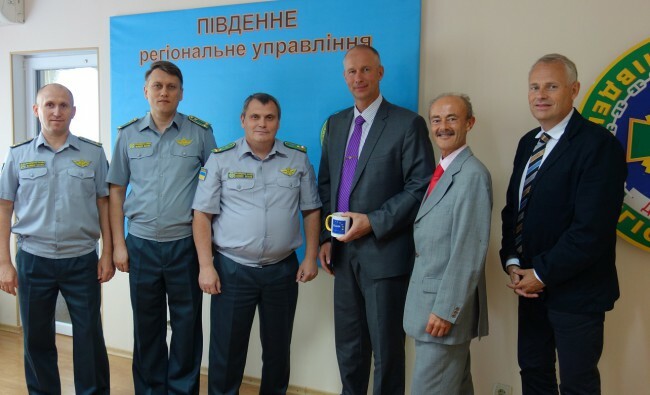 The EUAM ‪‎Regional Outreach Team and the Strategic Border Guard Service Advisor met with the Deputy Head of Southern Directorate of Ukraine Border Guard Service. The team also visited the Border Guard Service Sector of Odessa Port. The delegation received a lot of useful information for future joint activities with the Ukraine Border Guard Service in the region. Colonel Kurnikov was open to questions and expressed his willingness to closely cooperate with EUAM.